Laurie Forster AKA The Wine Coach has done what most people have only dreamed of. She has taken her passions, combined them, and turned it all into a wildly successfull career. She says it all started when she was a sales executive and would spend a lot of her time taking clients to dinner. Learning how to order wine became a tool, as well as part of her job. Soon that developed into a love for wine. Later she went to The Manhattan chapter of the American Sommelier Association to become certified in Viticulture and Vinification. She also trained to become a life coach. 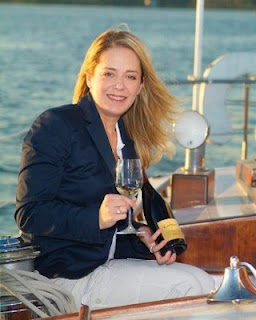 Combining her love of people and wine, she has become The Wine Coach, and one of the nations most sought after wine experts, and event hosts. Laurie has also written an award winning book called “The Sipping Point: A Crash Course in Wine,” and wine is a columnist for several magazines. Not to mention she makes regular appearances as a guest expert on radio and television shows!